Bring the radiant freshness of sweet lavender days into your home with soft lavender petals, bright redcurrants and sweet spun sugar. 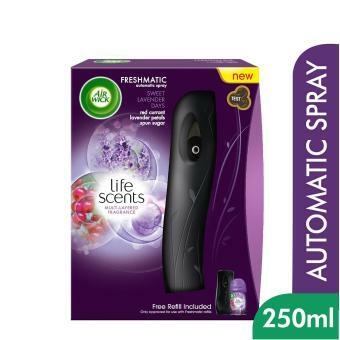 Life scents - the first range of constantly changing fragrances. Automatically releases fresh bursts of fragrance so your home always smells welcoming.